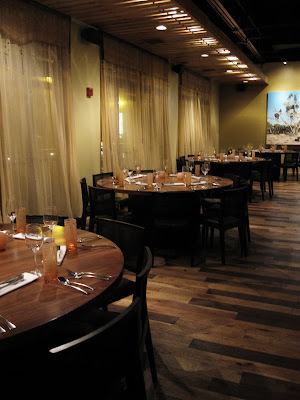 Located in Downtowns River North area Zed 451 is a posh and chic restaurant that hosts events. A rich landscape of natural elements with amazingly stylized, contemporary edge makes up the look of ZED451. Wood floors, stone accents and artistic lighting provide sense of comfort, which are contrasted by clean lines and white leather seating. The food is to die for modern grilling....They have everything from Steaks, ribs, seafood, poultry and game. My favorite experience at ZD451 are the enormous "Harvest tables" where you can try everything from soup, salad and cheeses. Lets not forget their amazing cocktails!! Not only do they have amazing cocktails but you can enjoy them on the massive rooftop deck. The roof has many choices of seating from cozy little corners with fireplaces to huge banquets. The perfect place on a summer evening at sunset. Now lets talk about what makes me ecstatic about this restaurant! "EVENTS".....Yes thats right ZED451 can accommodate up to 70 in their Fireside room, 50 in the Crescent, 45 in the Mezzanine and 35 in the Clark Street room. This venue is a perfect option for a smaller intimate wedding. The color scheme at ZED451 is perfect, all neutral to compliment any color brought in. 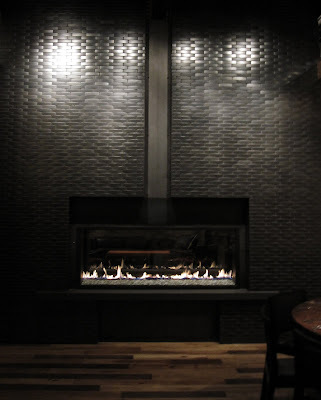 Wedding ceremonies are held in the FireSide room in from of the floor to ceiling fireplace...To die for! Once the ceremony is over with the guests weather permitting of course move onto the roof top....What an amazing cocktail hour! 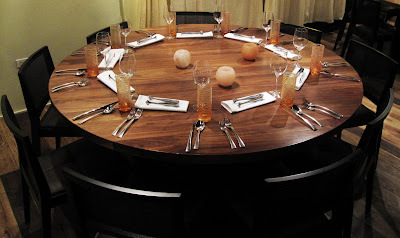 I recently visited ZED451 for dinner and snuck upstairs to snap a few pictures for "Blogging" of course!